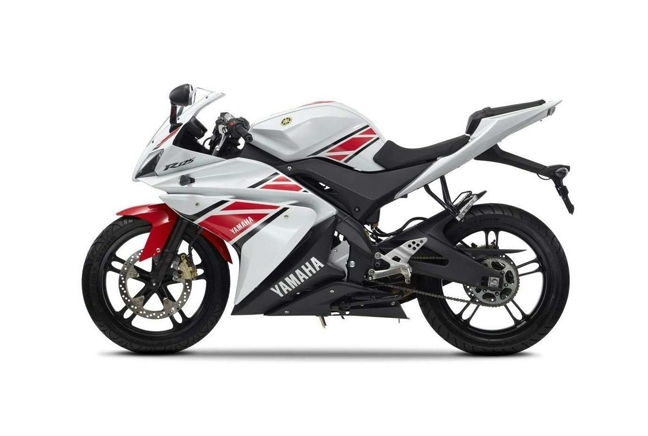 The YZF-R125 is Yamaha’s answer to the CBR 125R and, despite having its work cut out, the sporty 125 has held its own in a highly competitive sector. Unlike most of its rivals, the Yamaha sets itself up as a sports bike. It’s big, it’s aggressively styled and it has more slightly more pep in its step, too. At 125cc, the YZF is never going to be rapid however it is noticeably quicker and more responsive than some of its rivals and it even goes as high as 80mph. It’s a good bike to ride, too. Yamaha has managed to combine performance and motorway capability with city riding and decent fuel economy figures. The latest YZF-R125 is priced at £4,349. Below you’ll find estimates for the average lowest comprehensive insurance quotes on the model.